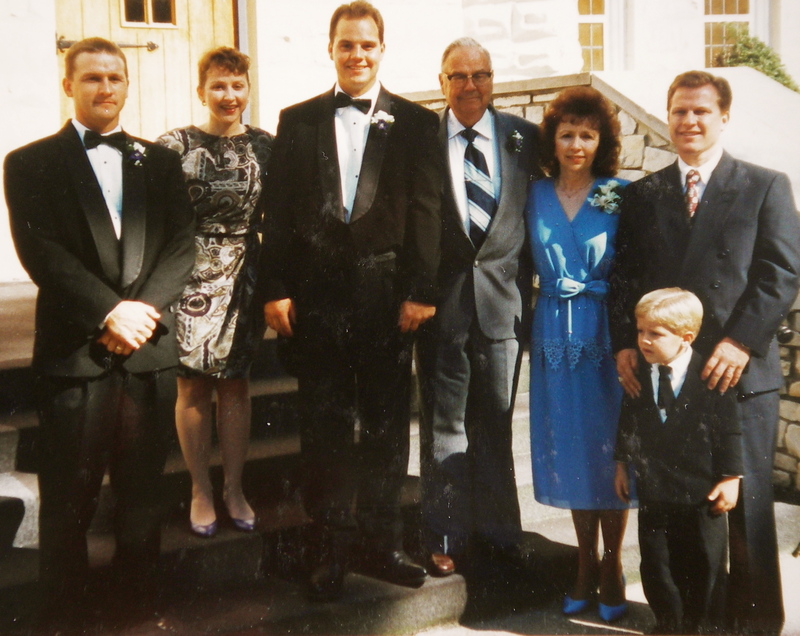 (from left to right) Steve Parkman, Pamela Parkman Wegner, Mark Parkman, Harry Brownlee, Beverly Faye Brownlee Parkman, Daniel Parkman & Danny Parkman. Sarah Alva and Harry Lee Brownlee, Jr. Mount Hope Cemetery, Peru, IN – same cemetery George B. & Willa Mae Parkman and Cole Porter buried. 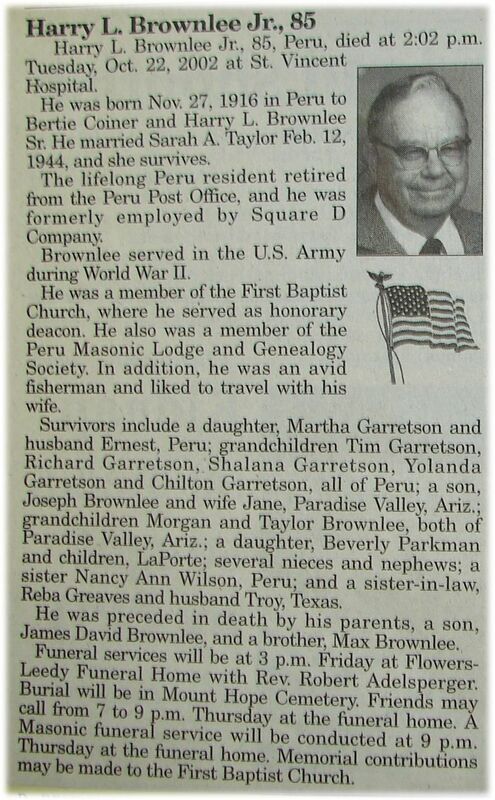 Sarah Francis Lightner Brownlee and Robert Alexander Brownlee parents of: Harry Lee Brownlee, Sr. Served as a Private for the C.S.A. Enlisted 21 May 1861 at Brownsburg, VA in Company H, Virginia 25th Infantry Regiment. Description: height: 5 ft. 7 in., dark complexion, hazel eyes, brown hair. One of the oldest items in the Cameronian collection, this banner was carried in the Covenanter’s army by William Cleland at the Battles of Drumclog and Bothwell Brig in 1679. Cleland was then scarcely eighteen years of age, fighting at Drumclog as an Officer of Foot and at Bothwell Brig as Captain. Made of blue silk, the banner is inscribed at the top with gilded Hebrew characters, which read ‘Jehovah-Nissi’ (The Lord is my Banner). The banner takes its name from the phrase at the bottom , written in blood red, which reads ‘No Quarters for Ye Active Enemies of Ye Covenant’. Falkirk Wheel, Scotland is 42 miles from Torfoot and Falkirk is where William Wallace known as Braveheart held the Battle of Falkirk. This entry was posted on November 13, 2009 at 11:09 pm and is filed under Uncategorized. You can follow any responses to this entry through the RSS 2.0 feed. You can leave a response, or trackback from your own site.